(ZHE) Yesterday, Republican Devin Nunez Nunes held an explosive press conference outside the White House in which he told reporters that communications from the Trump team were picked up and disseminated within the government during the 2016 campaign. The FBI hasn’t been responsive to the House Intelligence Committee’s request for documents, but the National Security Agency is expected to produce documents to the committee by Friday. 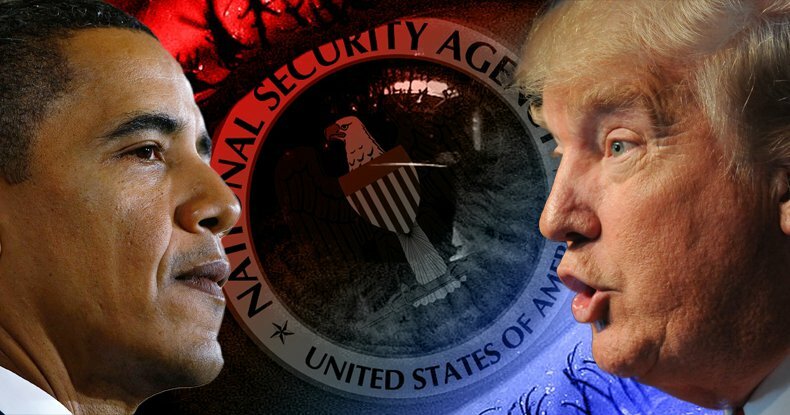 The NSA document production is expected to produce more intelligence than Nunes has so far seen or described – including what one source described as a potential “smoking gun” establishing the spying. Classified intelligence showing incidental collection of Trump team communications, purportedly seen by committee Chairman Devin Nunes, R-Calif., and described by him in vague terms at a bombshell Wednesday afternoon news conference, came from multiple sources, Capitol Hill sources told Fox News. The intelligence corroborated information about surveillance of the Trump team that was known to Nunes, sources said, even before President Trump accused his predecessor of having wire tapped him [sic] in a series of now-infamous tweets posted on March 4. Because Nunes’s intelligence came from multiple sources during a span of several weeks, and he has not shared the actual materials with his committee colleagues, he will be the only member of the panel in a position to know whether the NSA has turned over some or all of the intelligence he is citing. If true, of course, this could put a ‘slight’ taint in Obama’s claim of a “scandal free” eight years in the White House. The FBI is not cooperating with the House of Representatives’ investigation into the NSA’s surveillance of the Trump campaign during the 2016 election, the chairman of the U.S. House Permanent Select Committee, Devin Nunes said in a press conference on Wednesday afternoon. In the aftermath of today’s most stunning news report, namely the confirmation that Trump may have been right all along following the admission of House Intel Committee Chair Devin Nunes that the communications of Trump’s aides and the president himself had been “incidentally” monitored, Nunes held an explosive press conference outside the White House in which told reporters that communications from the Trump team were picked up and disseminated within the government during the 2016 campaign. Nunes said sources within the intelligence community presented him with the information. He spoke to the press after briefing the administration. Nunes also said that Trump and others in the transition team were put into the intelligence report and asked if Trump should be in these “normal” reports. But what was perhaps most troubling in Nunes presser is that in the aftermath of Monday’s Congressional hearing with James Comey in which the FBI director said on the record there had been no surveillance of Trump, is the House Intel Commission chair’s statement that the FBI is not cooperating with the investigation. Finally, and contrary to earlier media reports, Nunes clarified that the surveillance was not related to the FBI’s investigation into possible collusion with Russia. This surveillance, he emphasized to reporters, does not “have anything to do with Russia.” As a reminder, this has been the strawman argument proposed by much of the liberal media, which has said that a wiretapping of Trump or his aides, would only confirm that his relations with Russia were suspect and thus prompted a FISA warrant. If Nunes is correct, and Trump was being wiretapped for reasons having nothing to do with Russia, that entire narrative falls apart, and the press will now have to spend the next few weeks building up an entirely new narrative to “justify” why Trump was being wiretapped on Obama’s watch. March 29th, 2017: Corrections were made to the body of this article.